Stephen Hodder MBE, the president of the Royal Institute of British Architects (RIBA), will be making his only visit to Cornwall this month, where he will be hosted by Bude architects, The Bazeley Partnership, before attending an RIBA commissioned exhibition at Bude Castle. 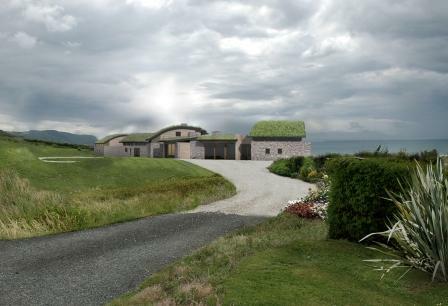 During the visit, staff from The Bazeley Partnership will be able to discuss their aspirations for architecture in the region as well as key projects including their work on the £8 million re-development of Carbis Bay Hotel and the new eco-development of Atlantic View in Widemouth Bay. Martin Back, director of The Bazeley Partnership, said: “We’re very much looking forward to meeting Stephen Hodder at a time when our own community is carefully considering the development of its built environment. Hodder and Back will then attend a private viewing of the Spirit of Place Exhibition at Bude Castle, which has been curated by Jonathan Ball MBE, local Bude architect and co-founder of The Eden Project.